Good shape. And welded good. 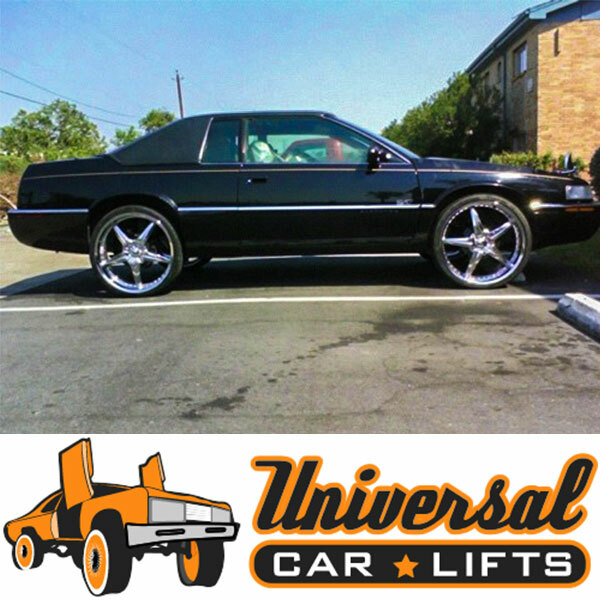 Custom modified strut lift kit for 1994-1996 Cadillac DeVille, 1990-1996 Cadillac Eldorado, 1990-1993 SeVille, 1990-1993 Cadillac STS, 1989-1992 Allante and 1990-1992 Oldsmobile Tornado. 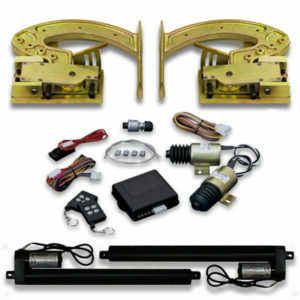 This strut mod lift kit gives you 3 inches of extra lift from your front wheel drive. 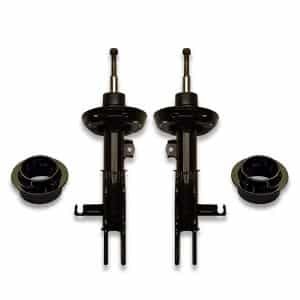 Bolt-on custom lift struts for front wheel drive GM Cadillac, K & E body cars with strut style suspension in the front and springs / shocks in the rear. 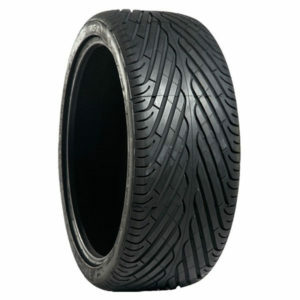 Struts feature proper alignment geometry to get your wheels riding straight. Modification sections are CNC cut and feature adjustable alignment settings including camber curve. 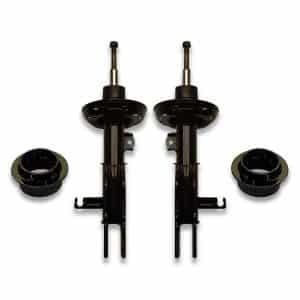 These specially designed struts will lift your car without your tire tilting inwards at the top, keeping your expensive low profile tires from wearing out. 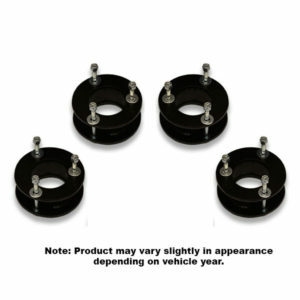 The modified lift struts will move your lower spring mount up 3 inches, providing extra clearance for your tires to clear. 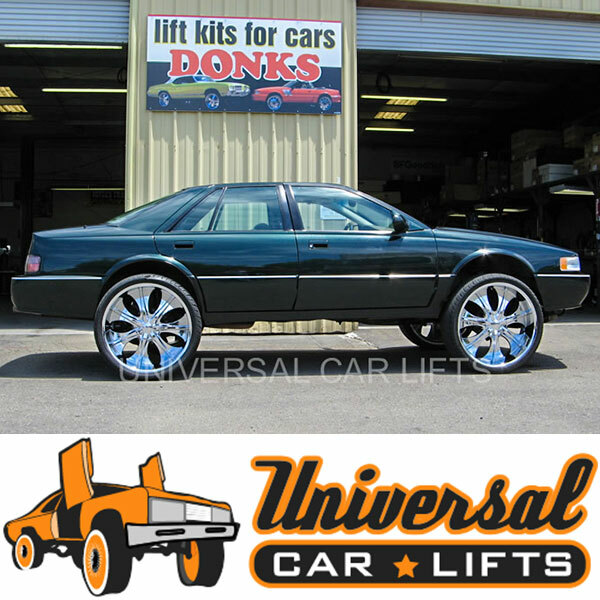 This is the most common problem with lifting GM Cadillac, K & E body front wheel drive vehicles. 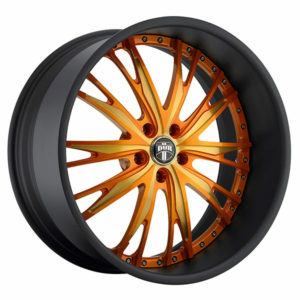 When running 22, 24, 26 or 28 inch rims, the tire can come in contact with the lower strut mount. The additional lift height will also allow you avoid major trimming of your fenders. 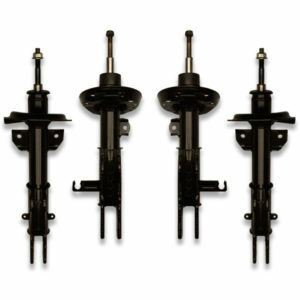 Note: These struts are custom built to order. 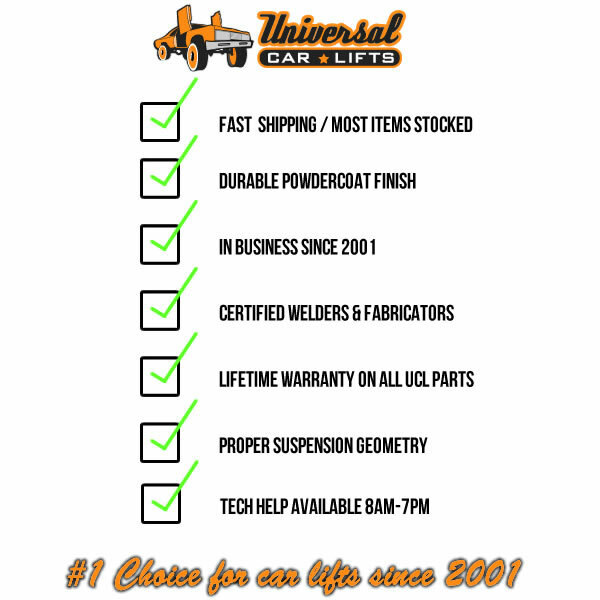 We usually ship the lift struts out the next business day after ordering, however we do ask that you allow up to 5 business days for order processing. 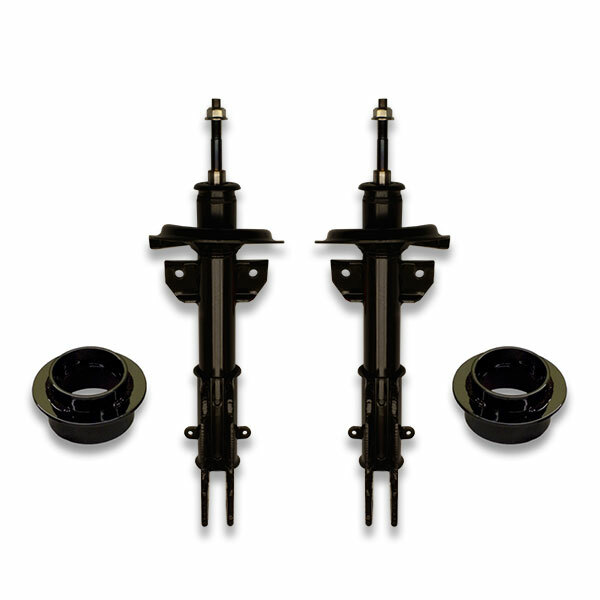 If you need the struts sooner, please give us a call and we will help any way possible.